Anti-snoring devices and surgery market are likely to register robust growth due to the high prevalence of snoring. Snoring is a problem common to all age groups, especially adults and its remedy calls for budget-friendly, user-friendly, and efficacious anti-snoring devices. The compact and portable anti-snoring devices are the leading source of revenue in the global anti-snoring devices and surgery market, however, it is also anticipated that more people worldwide will prefer surgery to devices to address this problem. 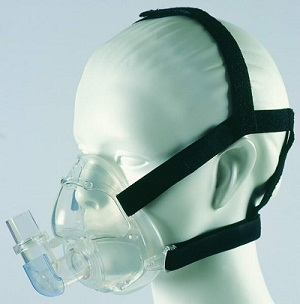 Companies dealing in the global anti-snoring devices and surgery market are developing compact and connectivity-enabled devices. Development of such optimized connected and wireless devices are estimated to bring notable growth opportunities to the global market. Apart from technologically upgraded devices, the demand for low-cost devices is also anticipated to drive the market. Further, the development of minimally invasive surgery implants is estimated to register high growth in the near future. The increasing use of implantable neurostimulation devices is likely to drive the global anti-snoring devices and surgery market. Patients have reported discomfort in using anti-snoring devices, which has resulted in low patient compliance level. Also, the socioeconomic impact of sleep apnea is huge as it is related with CVD, resulting in patients bearing high medical expenses. These factors are impeding the growth of players in the global anti-snoring devices and surgery market. Moreover, the presence of a large number of local players curbs high revenue growth. The vendors have to sell their products at competitive rates, thus, reducing their profit margin. The Asia Pacific region is outlined as an unprecedented market with an enormous patient pool. These dynamics have made APAC market attractive for the new companies. Advertising campaigns and innovative marketing have increased the level of cognizance of anti-snoring devices and surgery in this region.